After two very successful rounds of GI visits, the PROBA2 team has opened a new call for Guest Investigators to visit the PROBA2 Science Center between September 2012 and June 2013. Complete details about the GI program and application process are available here. At 01:50UT, 2 November 2009, SMOS and PROBA2 lifted off on the rockot vehicle from Plesetsk. 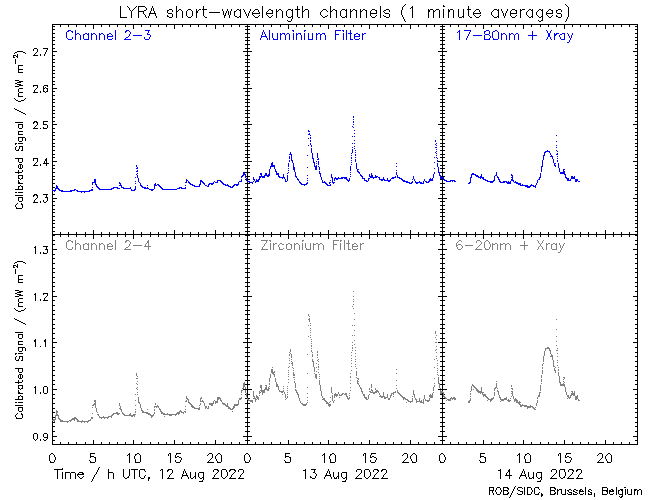 Since then, SWAP, LYRA, DSLP and DPMU provide a continuous stream of solar and in-situ data towards the Space Weather and Solar Physics communities. 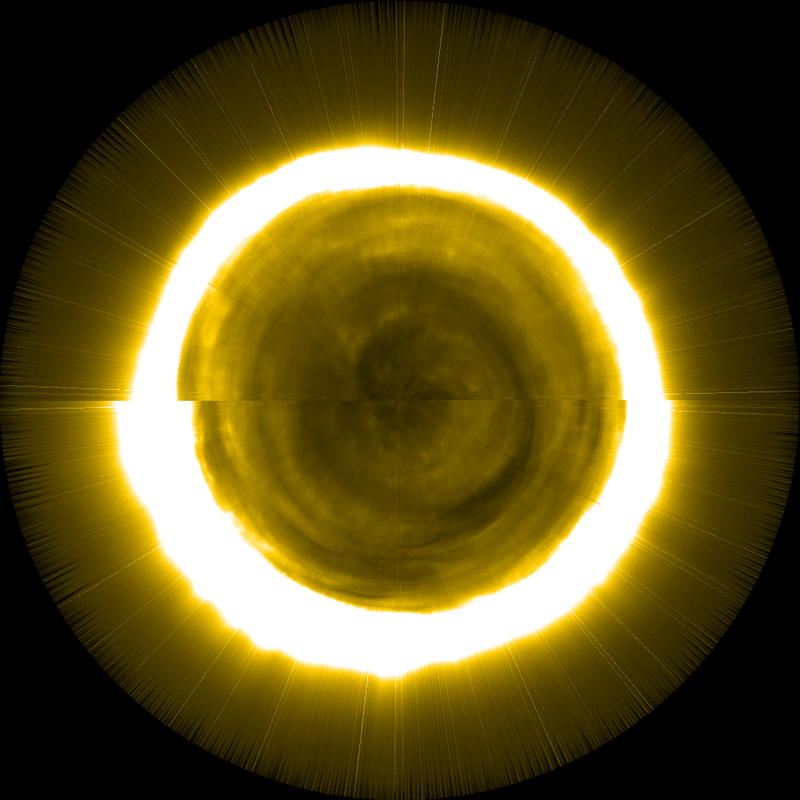 The PROBA2 team is now producing a new data product: deep-exposure SWAP movies that cover an entire Carrington rotation. 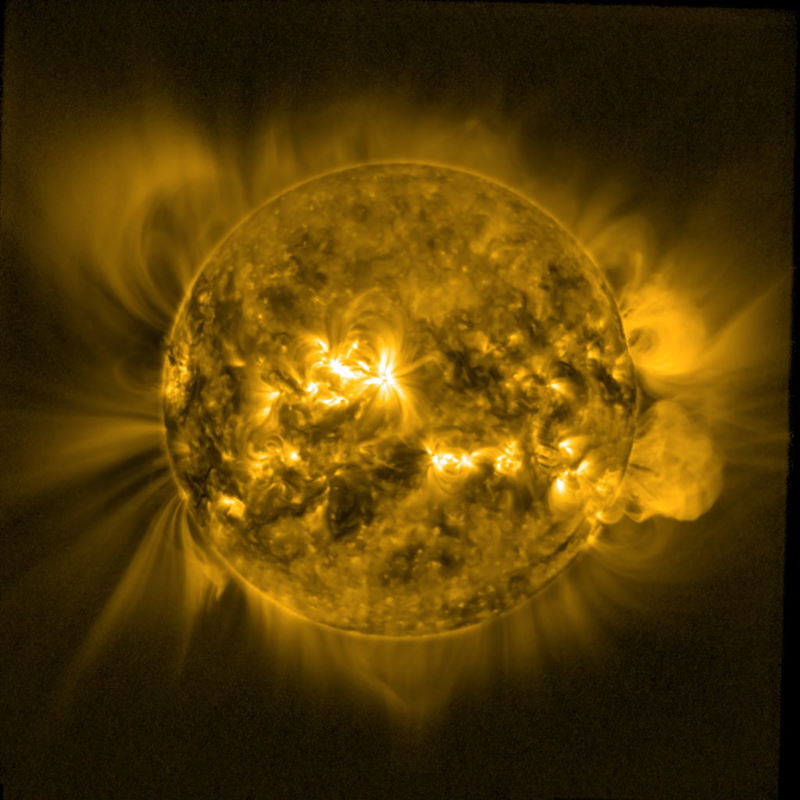 These movies reveal the dynamics of large-scale coronal structures that typically evolve on very long timescales. Because of SWAP’s unique 54-arcmin field-of-view, these movies reveal many features never before seen in the Extreme-Ultraviolet. 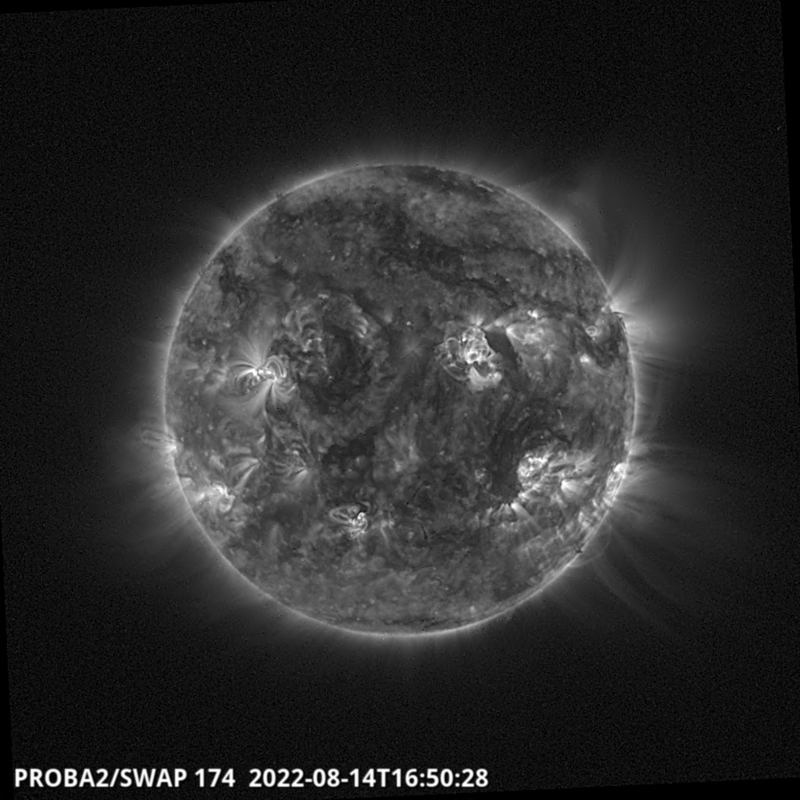 On August 9 at 08:05 UT, SWAP and LYRA onboard PROBA2 recorded a solar flare of class X6.9, the strongest so far in the current solar cycle. 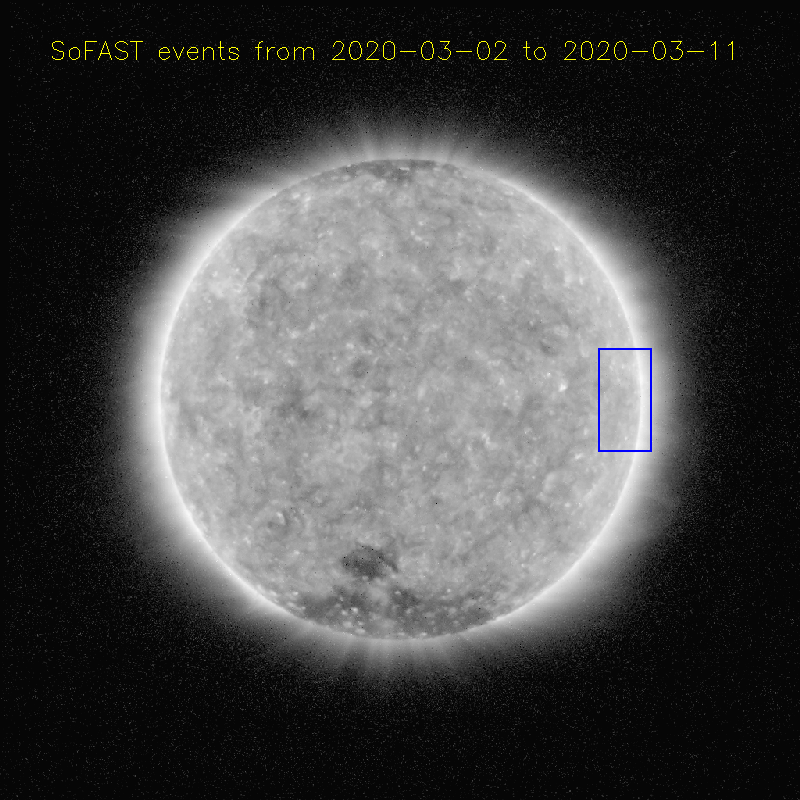 At the time of the flare, PROBA2 was offpointed to the west limb, close to where the flaring active region was located, so that part of the event could be observed off-limb.